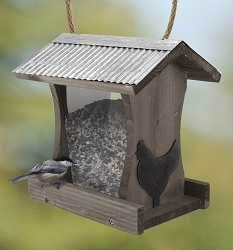 Three Food Compartments, Holds 3 lbs. Serve multiple food types at once! 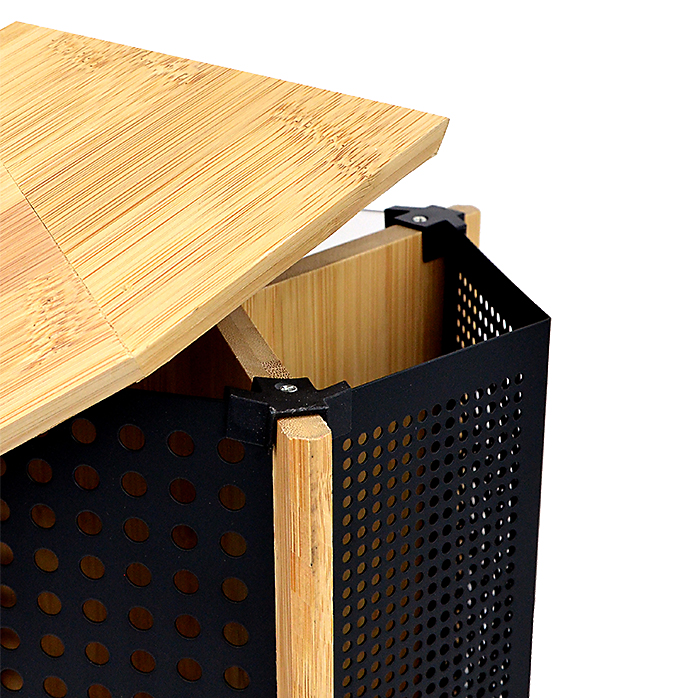 Constructed of durable eco-friendly bamboo! 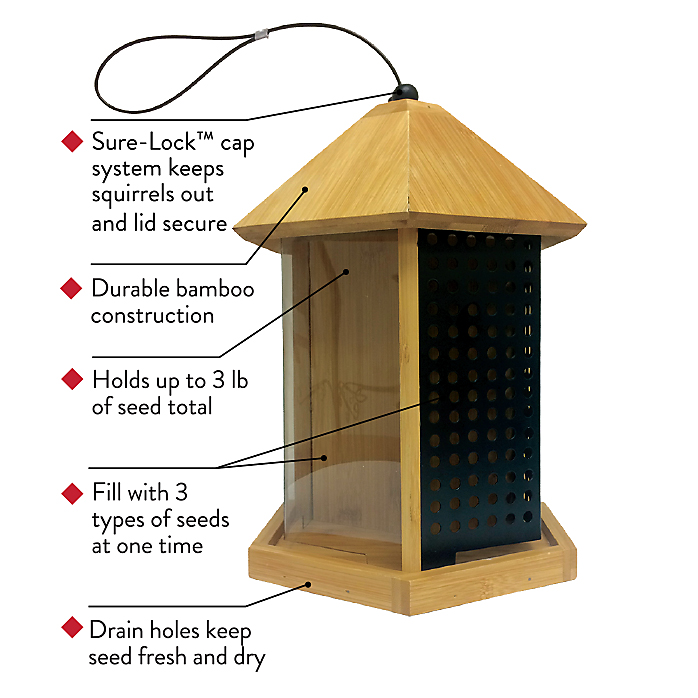 With the Trio Bamboo Feeder, you get an option that’s great for you, for your backyard birds, and for the environment! 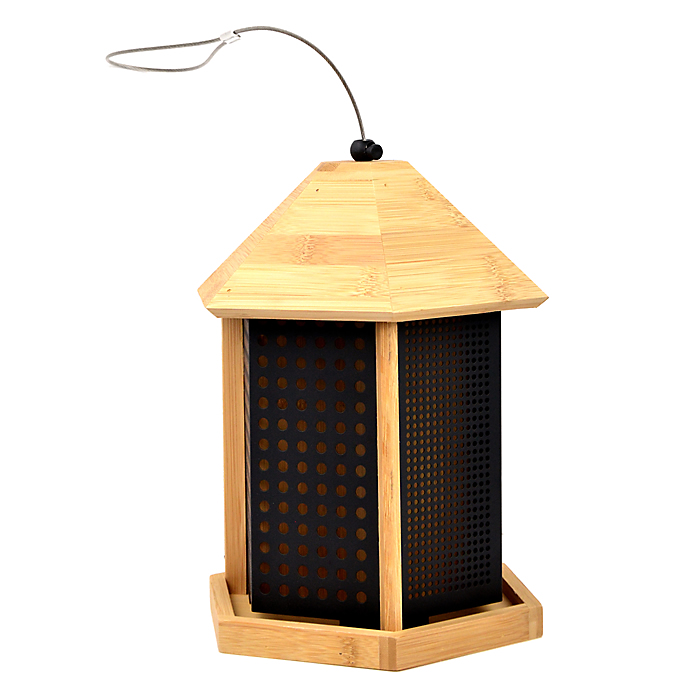 This simple feeder is constructed of durable bamboo, ensuring its place in your yard for many years to come. 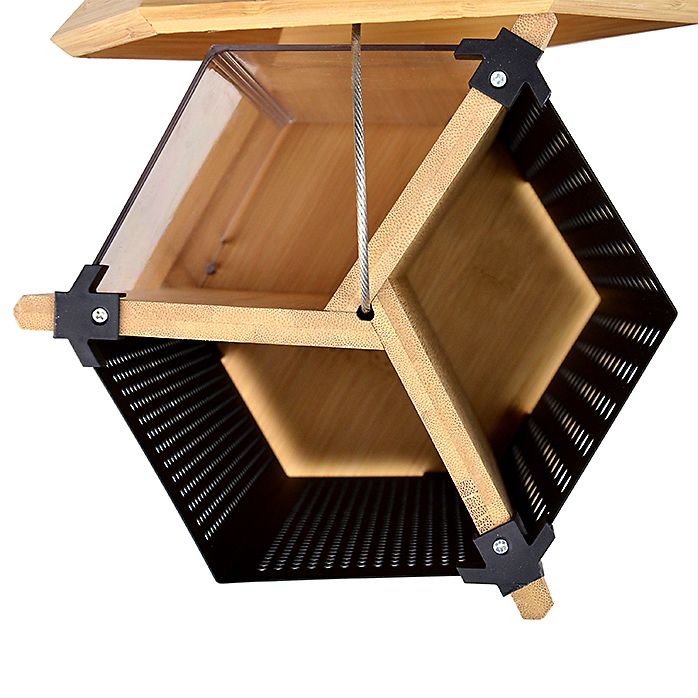 Plus, it allows you to serve three different food types simultaneously thanks to independent compartments. 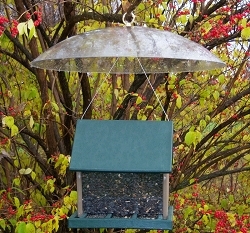 This feeder also boasts built-in drain holes to prevent water from pooling so food stays fresh for longer. 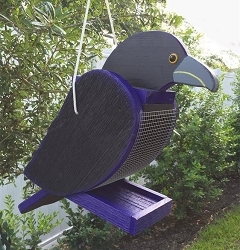 Bamboo is one of the world’s fastest growing, most sustainable plants, making it a very eco-friendly choice for bird feeders! 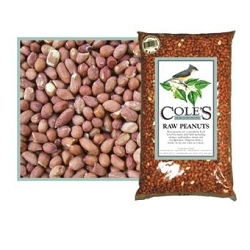 It’s 100% natural and biodegradable. 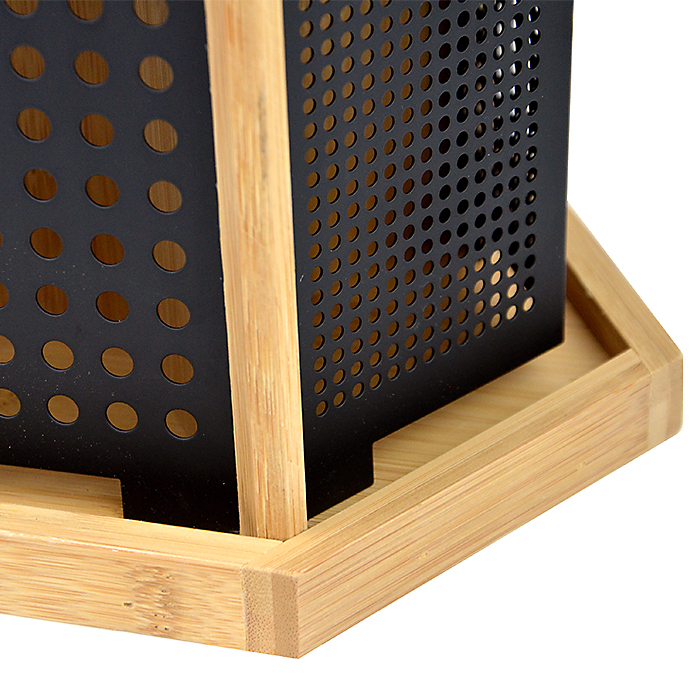 Bamboo is stronger and more durable than most woods, making it less likely to warp, crack, shrink, or swell. 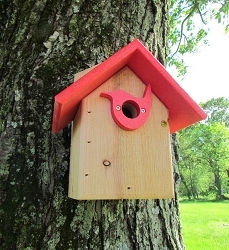 Plus, it’s naturally resistant to mold, insects, and bacteria. 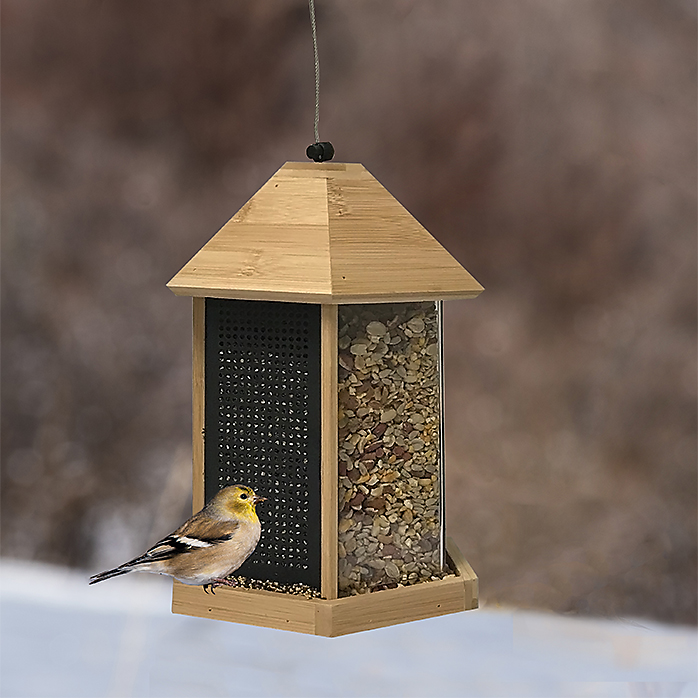 The Trio Bamboo Feeder features three independent food compartments, allowing you to serve multiple food types at once. 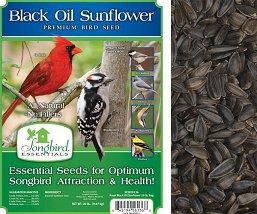 Use one compartment for mealworms, another for peanuts, and the last compartment for sunflower or mixed seed. 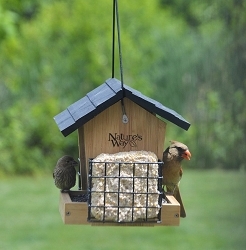 It’s like having three feeders in one! 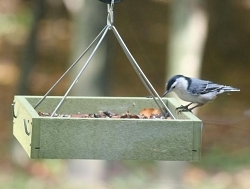 With so many foods on the menu, you’re sure to attract a variety of backyard birds, including finches, blue jays, nuthatches, and chickadees. 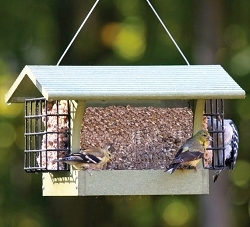 For your convenience, this low-maintenance bamboo feeder is incredibly easy to use. 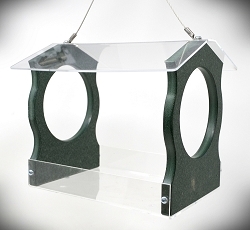 Simply engage the Sure-Lock™ cap and slide off the lid. Next, fill each compartment with the designated food and replace the lid. 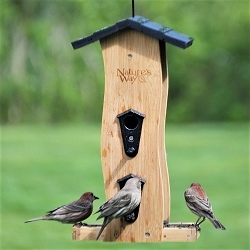 Hang your feeder in a location where you can easily enjoy your many visitors. 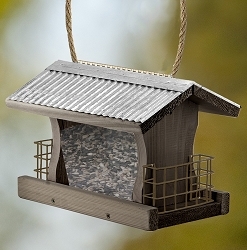 To ensure that your offerings are reserved for the birds, this feeder features a Sure-Lock™ cap. 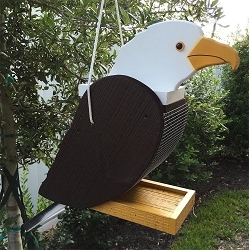 This unique device secures the lid in place, making it more difficult for squirrels to remove it and gain access to the abundance of food inside. 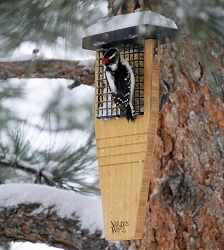 Birds attracted to this feeder include chickadees, finches, wrens, nuthatches, titmice, woodpeckers, and jays. 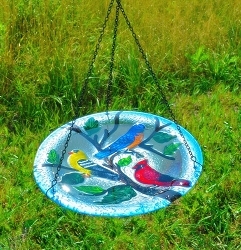 Dimensions: 8.25"L x 9.25"W" x 22"H" (Including hanger); Weight 3.3 lbs.